You are here: Home / Health & Diet / Are You Gripped With A Phobia? Are You Gripped With A Phobia? Thus, the fear is so intense that it tends to interfere with one’s normal life, in spite of being aware of the fact that it is unreasonable. Nevertheless, you can manage and control a phobia with the help of Cognitive behavioral therapy, Hypnotherapy, Eye Movement Desensitization and Reprocessing, Neuro-Linguistic Programming, etc. 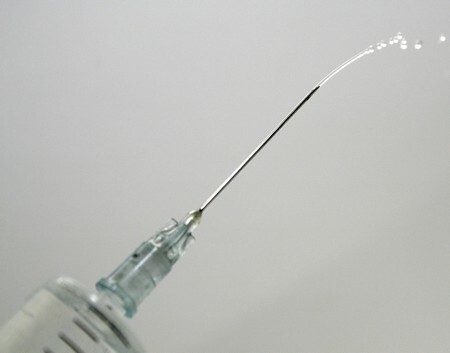 Trypanophobia: It is an extreme fear of needles or injections. Claustrophobia: Fear of enclosed or confined spaces, thereby causing tremendous anxiety while riding an elevator or going through tunnels due to fear of being trapped or suffocated. Social Phobia or Social anxiety disorder: This phobia is characterized by fear of social situations where you are among a group of people. Basically, it is an intense fear of being embarrassed by your own actions. Epidemiological studies have revealed that it is the third largest psychological disorder in the US. Social anxiety disorder usually begins in childhood or adolescence. Glossophobia: Glossophobia is one of the most common types of phobias characterized by fear of public speaking. In fact, surveys have shown that individuals suffering from this problem are more afraid of speaking in public than even dying. Agoraphobia: It is an intense anxiety of public places and fear of not being able to escape a wide, open space from a number of people if you become way too anxious. Thus, it can be associated with the fear of having an anxiety attack, and being helpless and embarrassed in social situations. At times, the person develops a fear of crowds, or being left alone and even avoids leaving home. This phobia is more common in women as compared to men. Acrophobia or Altophobia: It is a severe fear of heights. Thus, people suffering from this phobia are extremely afraid of climbing a ladder or going upstairs. Aquaphobia: It is an abnormal fear of water. The condition is often confused with Hydrophobia, which is a symptom appearing in the later stages of rabies. Nyctophobia, Lygophobia, Achlouphobia, or Scotophobia: It is an intense fear of darkness triggered by perceiving the dangers of being in a dark environment. Autophobia: This is a personality disorder characterized by the fear of being alone. Necrophobia: It is the fear of death or dead things. More often than not, phobias begin in early childhood or teenage years due to stressful and frightening situations. Certain individuals may develop phobias in adulthood as well. Most people grow out of their fears over time, but some may require treatments.